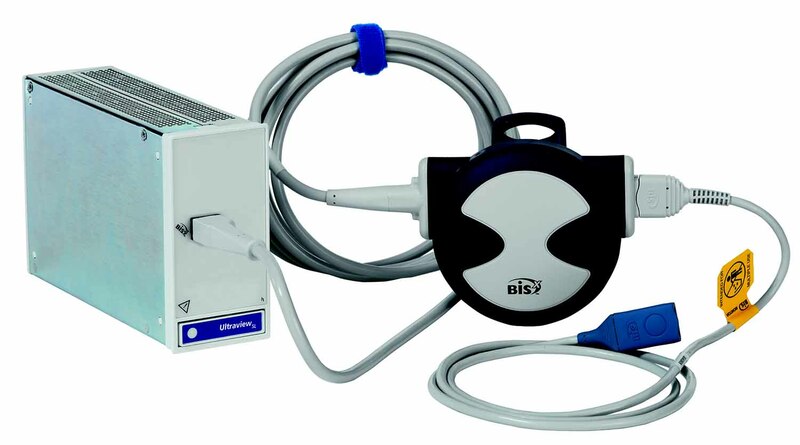 In the operating room or critical care environments, the BISx module reliably monitors depth of consciousness and sedation level, eliminating the need for bulky standalone systems. This type of monitoring is used to prevent patients’ awareness during surgery by notifying clinicians when additional medication may be needed. The Bispectral Index (BISx™) module acquires real-time electroencephalogram (EEG) data for adult and pediatric patients. Then, the BISx analysis is calculated from the frequency, power, and phase throughout the entire frequency range of the EEG and presented as an index number between 1 and 100. Adult and pediatric sensors work with the same module, which is easily moved from monitor to monitor.